The range of the clownfish runs from the Australian east coast to the Red Sea, the Great Barrier Reef and the Indian and Pacific oceans. It makes its home in tropical coral reefs throughout its range, living in or around sea anemones that it seeks out for protection from predators and for easier availability of food. 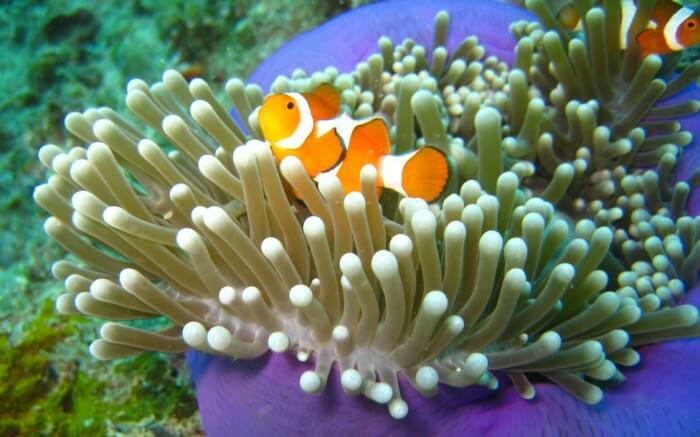 Clownfish are immune to the sting of the sea anemone. A clownfish breeding pair and a few younger male clownfish usually inhabit a single sea anemone. Notably, when the female of the pair dies, the male turns into a female and then breeds with one of the males in the group.